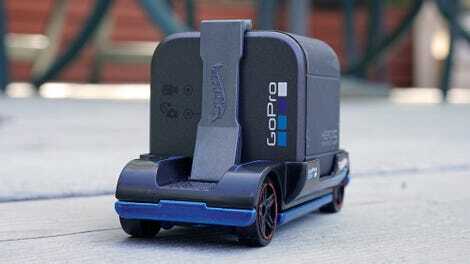 Unlike larger GoPro cameras, the tiny Session doesn’t have an LCD display for reviewing footage. You don’t necessarily have to keep popping out the microSD card and sticking it into your laptop to watch each run, it can also wirelessly connect to a mobile app over wifi. But the 10-year-old inside me found the few seconds it took to cache and stream each video excruciatingly long. A minor quibble, for sure, but I suspect actual kids might be equally impatient. 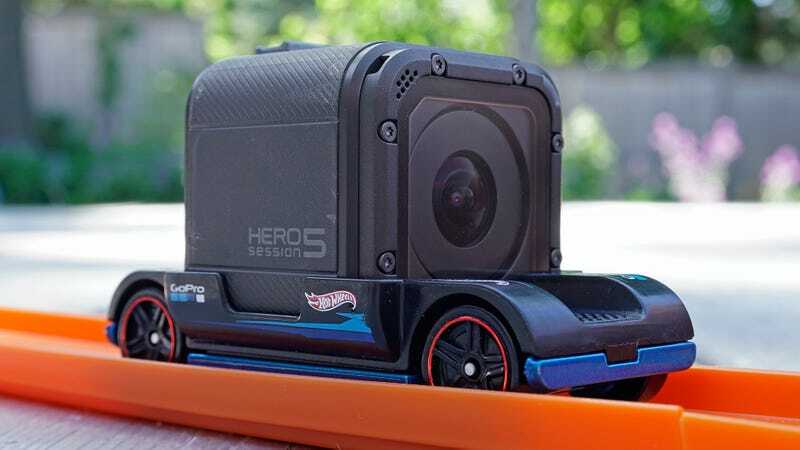 If you’ve already got the requisite GoPro, at around 80p the Hot Wheels Zoom In is a no-brainer accessory. 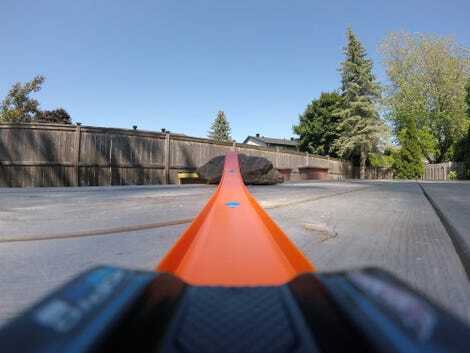 If your camera kit already includes any of the tiny GoPro Session cameras, and you have even the mildest interest of having some extra fun with it, the Hot Wheels Zoom In is a must-have accessory at $1.09 (81p). It’s an impulse purchase that’s going to deliver a lot of fun and replay value, even if it takes you 30 runs to get the camera car all the way through a course you’ve designed—and repeatedly redesigned. The resulting videos will satisfy the stunt driving fantasies the police and insurance companies won’t permit. At $1.09 (81p) the toy Hot Wheels car is dirt cheap, but it requires a GoPro Session camera and that will cost you at least $150 (£111) more.